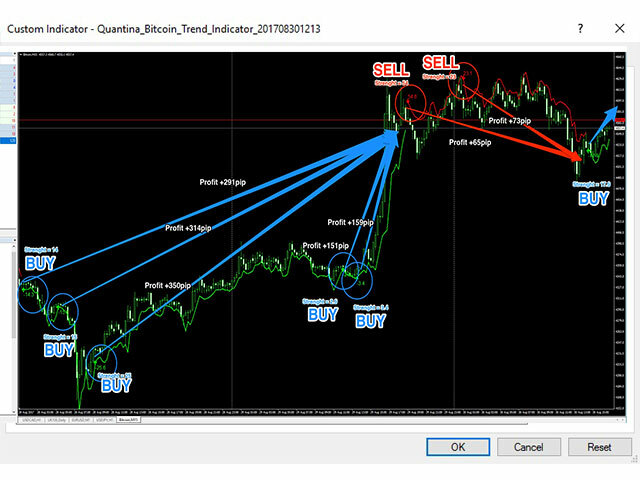 Generates BUY / SELL Signals for easy to use: You do not need to read or understand market trend lines on indicators. 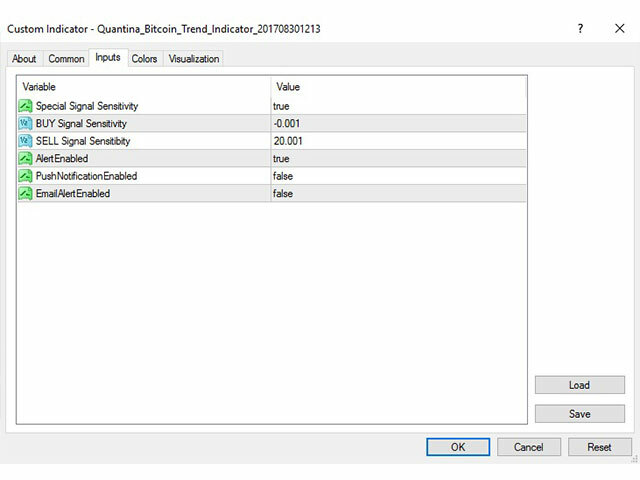 Quantina Bitcoin Indicator shows a little Red Arrow for SELL and a little Green Arrow for the BUY entry points above- and under - the actual bars. (Green = Bullish Trend , Red = Bearish Trend). Measured Signal Strength also has written on the chart for advanced traders. Working on every known currency pairs: It's working on major-, minor-, and cross - pairs too. 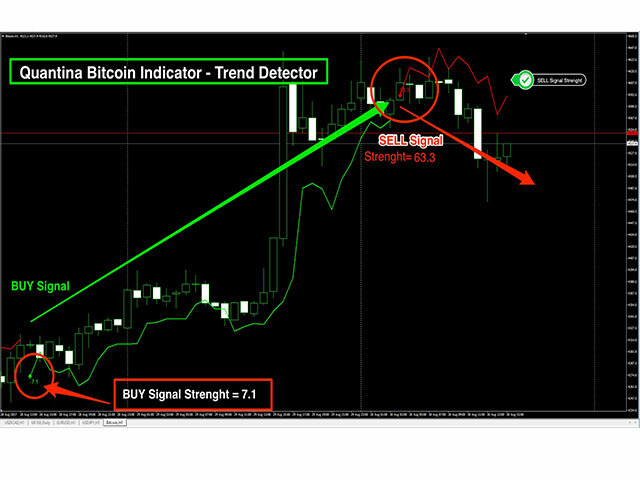 Also, Quantina Bitcoin forex indicator can be used for Gold, Silver and Oil pairs. Self-Adjusting for adapting new market condition: If the market condition changes, indicator can change the main formulas for new calculation. In this case you do not need to optimise them for time to time. Special Signal Sensitivity: true/false - able to adjust Buy/Sell signal frequency with sensitivity values. Alert Enabled: Trading Alert settings. true/false, valid for every alert method below, including MT4 popup alert. Push Notification Enabled: true/false. Trading Alert for your smart phone if you connected your phone with MT4.